Or view larger version. 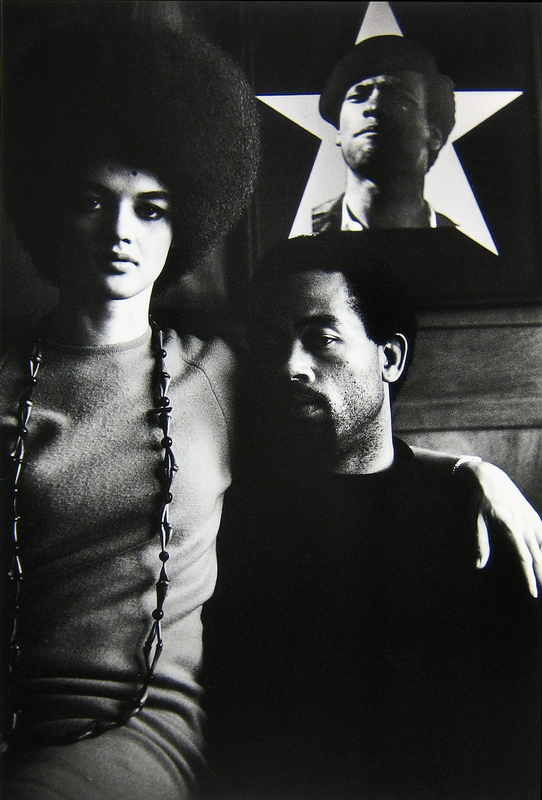 Kathleen and Eldridge Cleaver, in front of a poster of Huey Newton. ca. 1970. Gordon Parks, photographer. Gelatin silver print. Collection of Oakland Museum of California. This photograph is of Kathleen and Eldridge Cleaver of the Black Panthers, shown sitting in front of a poster of Huey Newton, Minister of Defense for the Black Panther Party. This photo was taken while the couple was in exile in Algiers. Cleaver jumped bail after being charged with attempted murder. He first went to Cuba, then to Algiers where Kathleen joined him.